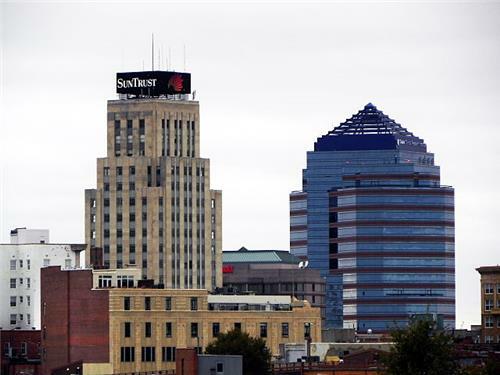 Durham is known as a colorful as well as eventful city. It has a rich and checkered history and a diverse cultural heritage. With many popular tourist attractions as well as hotels, restaurants and eateries not to mention museums and galleries, Durham is the perfect choice for the avid and adventurous traveler. Durham has a rich and colorful history and it was named after famous doctor Dr. Bartlett Durham. Bull City was named so in the 1800s. Long before this, communities living in this area occupied an important part of history. Prior to the arrival of the Europeans, Durham was occupied by two Native American tries, Eno and Occaneechi. Durham is the site of the Native American village called Adshusheer. The Great Indian Trading Path is traced via Durham and Native Americans have helped to mould this city. Durham was termed the flower of the Carolinas by explorer John Lawson in the 1700s. During the middle of the 1700s, Irish, Scots and English colonists have settled in the land provided by King Charles to the Earl of Granville for which Carolinas are named. Just before the American Resolution, Durham was involved in the War of the Regulators. Massive plantations were inhabited in Durham prior to the Civil wars. In 1849, Dr. Durham after whom this city is named provided land area for establishing railroads. NC was the last state to separate from the Union. 17 days after Lee gave up his army at Apomattox, the largest surrender and close of Civil war was pieced together in Bennet Place in Durham. During the 1950s and 60s, the world’s largest research park was created in the city which encompassed its three sides and includes Morrisville and Cary. Research Triangle park areas scientists have won many accolades including the Nobel Prize. The Duke Lemur center is one of the topmost attractions in the city. It is located within two miles from the central campus. Known as the largest collection of primates outside native Madagascar, this research and conservation center is a favored tourist spot. Fee charges for adults and children is USD 10 and 7 respectively. This has been created from the famous Duke cigarette factory. It has a Georgian style East Campus and neo-Gothic west campus noted for its Duke Chapel. This massive chapel has a tower which is 210 feet long. It is also close to the massive 55 acre Sarah P Duke Gardens. This is the oldest public university and one of 4 with flowering pear trees and classic buildings. A map can also be picked up at the visitor center within the Morehead Planetarium and Science Center. In the 1860s, confederate general J.E. Johnston has given up close to 90,000 troops to Union General William T Sherman at the Bennet Place farmstead. With free guided tours on a half hourly basis and opening hours from 9 am to 5 pm Tuesday to Saturday, Bennet Place is known for its amazing atmosphere. Towering Duke Chapel overlooks the university’s neb-gothic west campus and has a 210 foot tower as well as 77 Bible based stained glass windows. This has an amazing beer and baseball atmosphere which makes it perfect for sporting enthusiasts. The famous 1988 Kevin Costner movie Bull Durham was based on this city’s minor league players Durham Bulls. Tickets are priced between USD 7 and 10. This includes 55 acres of koi ponds and a massive rose garden as well as magnolia forests. Enjoy the warm and pleasant feel of an afternoon game or picnic here. These gardens are perfect for those involved in hiking and trekking as well as walking and biking. If you are the outdoor kind who is fond of adventure sports, Sarah P Duke Gardens is your cup of tea. Duke’s University is known for its Nasher Museum of Art which has a massive collection of global modern works in a building which is futuristic. Modern art is what makes this museum the top of the choice for art lovers. Located halfway between Blue Ridge Mountains and the isolated beaches of North Carolina and its outer banks, the cultural and historical as well as tourism amenities offered by Durham offers. Reasonable cost of living, excellent health care, thriving art and entertainment scene are perfect for the top quality of life enjoyed by Durham residents. This city is home to a diverse community from scientists to artists and cultures to ethnicities. It has a growing economy, top quality of life, reasonable cost of living and community which is engaged and interactive. Currently, Durham in North Carolina belongs to the Eastern Standard Time or EST. Fall is the best time to visit Durham, North Carolina. During the fall months, the weather is cool and comfortable without being too extreme and the temperature remains within a pleasant range.